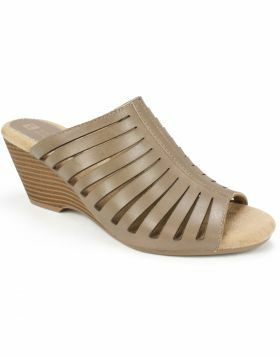 A most perfect pairing of comfort with glam is the new Coventry cork wedge slide sandal by White Mountain Shoes. 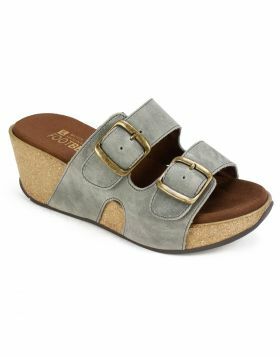 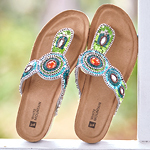 The genuine leather glittering metallic upper with delicate floral cutouts wraps around the soft suedette cushioned and contoured footbed with a durable rubber outsole. 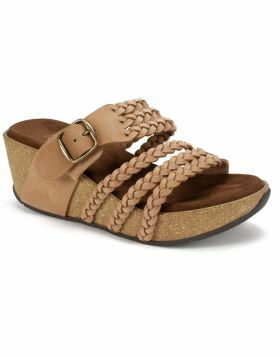 A most perfect pairing of comfort with glam is the new Coventry cork wedge slide sandal by White Mountain Shoes. 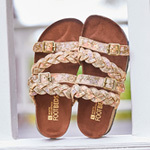 The genuine leather glittering metallic upper with delicate floral cutouts wraps around the soft suedette cushioned and contoured footbed with a durable rubber outsole. 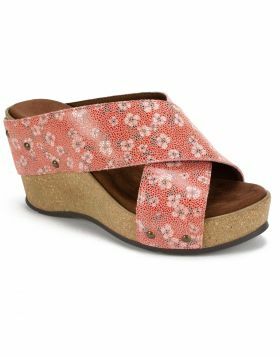 Heel height 3 1/4 inches.